John Maris is the President of Marinvent Corporation, the first corporation to receive the AIAC’s prestigious Floyd Award, and NASA’s 2014/2015 subcontractor of the year through its U.S. AdvAero affiliate. John is an Aviation Week and Space Technology Laureate, and was awarded Canada’s oldest aeronautical prize, the Trans-Canada (McKee) trophy, for his contributions to Canadian aerospace. He is a Fellow of the Canadian Aeronautics and Space Institute, a Fellow of the Royal Aeronautical Society, and an Associate Fellow of the Society of Experimental Test Pilots. John is the 2015/2016 chair of the Aerospace Industries Association of Canada (AIAC) and also chairs the AIAC Small Business Committee. FAA, Transport Canada, CAA (UK), and JAR (European) Airline Transport Pilot licenses, with numerous type and instructor ratings, both fixed and rotary wing, land and sea; Transport Canada Delegated Test Pilot (DAR 305) with Type Rating Exemption. Over 6,000 hours of flight time. Fellow of the Canadian Aeronautics and Space Institute (CASI) and Royal Aeronautical Society (RAeS). Associate Fellow of the Society of Experimental Test Pilots & the American Institute of Aeronautics and Astronautics. Member of the Québec Order of Engineers (OIQ). PMI® Certified Program Management Professional (PMP®). Member of the Human Factors and Ergonomics Society. Committee Member and author for RTCA Standing Committee SC181 for the development of the industry standards for electronic mapping and symbol data. Read John’s impressive resume here ! Read John’s impressive resume here! Sam Grainger is an expert in the software industry with over 20 years of experience including certified, mission critical, and embedded software, object oriented programing, and quality assurance processes and procedures. He is a PMP and Transport Canada software DAR and has provided certification support for many certification programs including electronic charts for Jeppesen, the NASA AGATE program, UASC, Garmin, Honeywell, Rockwell Collins, among others. 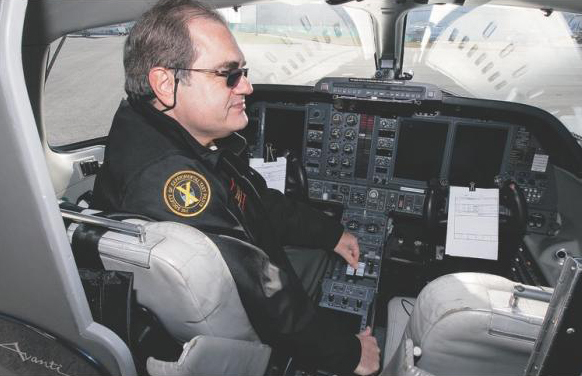 Along with these programs, he has also participated in EFB software development and the aspects EFB approvals for use in aircraft, including the Gulfstream CT-1000 EFB. Sam was responsible for the certification aspects of the first portable cross-platform object oriented software packages to be certified (MC3), and has also performed software certification audits for the Royal New Zealand Airforce. 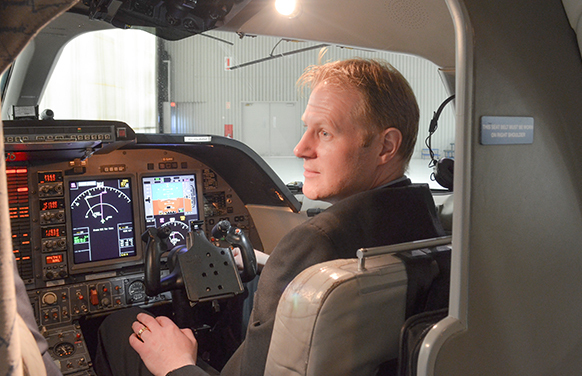 He has also participated in numerous STC flight test programs as a flight test and data engineer. Sam has given short courses in software certification for Transport Canada’s delegate training course, GosNIIAS (Russian State Institute of Aviation Systems, and State Scientific Center of the Russian Federation), the École de technologie supérieure in Montreal, and was the project manager for critical flight test software used by the Bombardier Flight Test Center C-Series flight test program. Lecturer and trainer for certified software systems to MGA-855 masters level and ELE-641 course at Ecole Technologie Superieur (ÉTS) in Montreal, GosNIIAS (Russian State Institute of Aviation Systems, and State Scientific Center of the Russian Federation), CAE, and Transport Canada. Read Sam’s impressive resume here !